The Vatican’s Institute for Religious Works (IOR), notorious for its money laundering and tax evasion, announced a €69.3-million profit in 2014, 24 times bigger than in 2013. Officials credit that to clearing up the bank’s finances. “The long-term, strategic plan of the Institute revolves around two key objectives: putting the interests of the clients first by offering appropriate and improved services and by de-risking the activities of the Institute,”saidJean-Baptiste de Franssu, IOR chairman since July 2014. The bank launched a financial clean-up program in 2013 after longstanding accusations of violations, including money laundering and tax evasion. In that program IOR closed more than 4,500 non-church related accounts, tightened up regulatory standards and focused on improving returns for its customers. 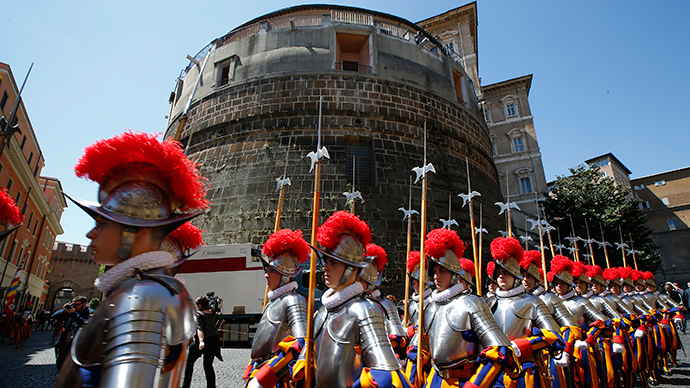 The IOR will donate €55 million of their profits to the Holy See for the Vatican’s main budget. The remaining €14.3 million will be contributed to the IOR’s retained earnings reserve. The bank works differently from all other financial institutions in the world. The IOR’s workforce is little more than 100 people, mostly Italians. Supervisory functions are performed by the cardinals. About 50 percent of the bank's clients are various Catholic organizations. Another 14 percent comes from Holy See institutions, 9 percent are cardinals, bishops and priests, while others are members of the Catholic community. About 25 percent of the IOR’s operations comprise cash transactions, enough to suspect the bank of money laundering. In September 2010, the Italian financial police seized €23 million worth of Credito Artigiano bank accounts, belonging to IOR, and arrested IOR President Ettore Gotti Tedeschi. He was subsequently sacked from his post in May 2012. In 2013, a former Vatican accountant Monsignor Nunzio Scarano was accused of illegally transferring money from Switzerland through the IOR.